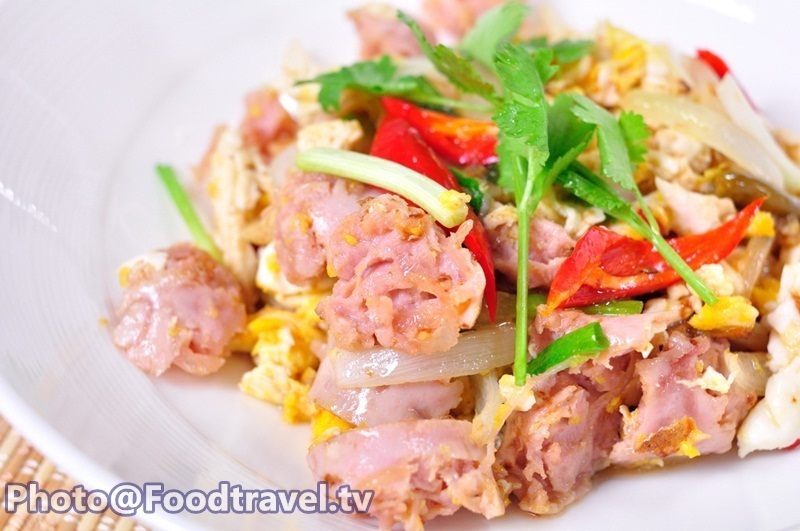 Stirred - Fried Sour Pork with Egg (Nam Pad Khai) - Stirred - Fried Sour Pork with Egg is a raw - fermented foods. 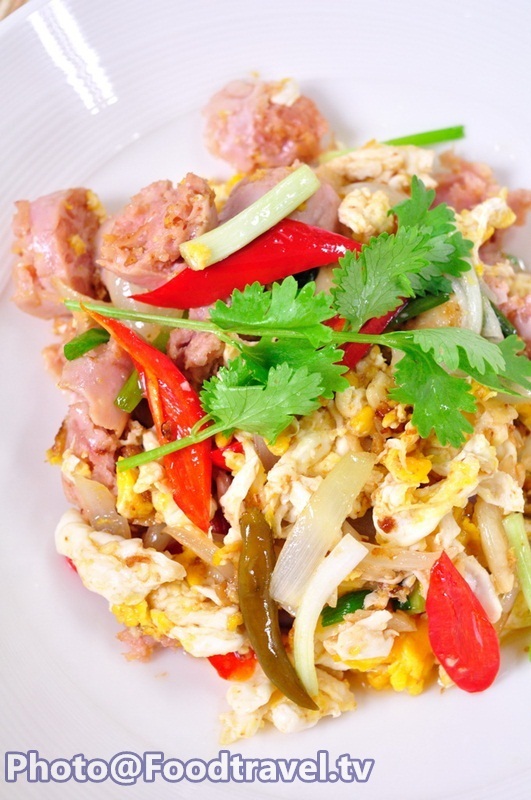 If you cook it right, it is non - toxic to the body. 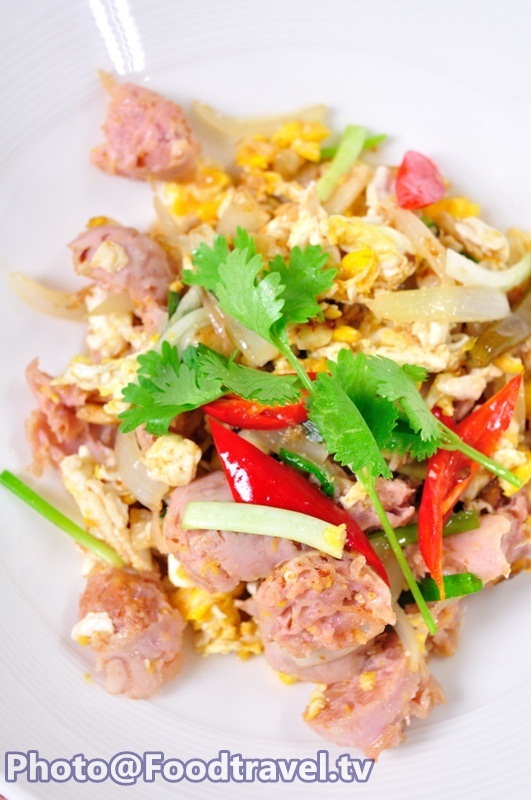 We recommend to try it with fried eggs. 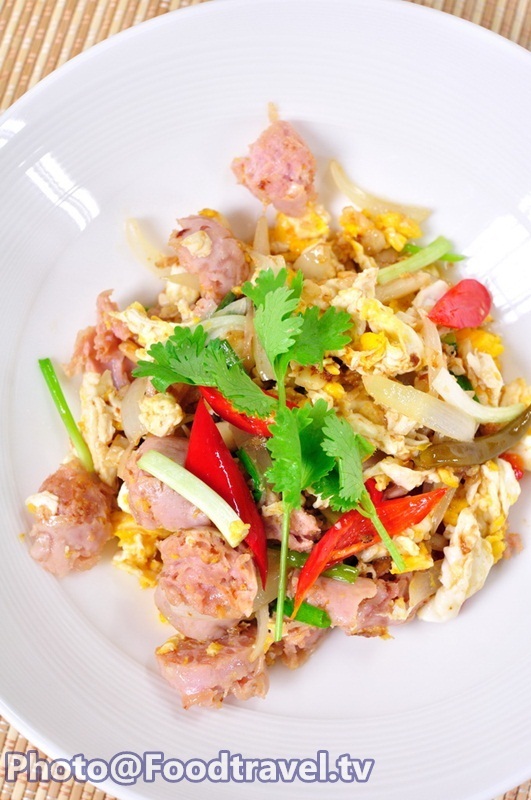 It taste good, simple and delicious. 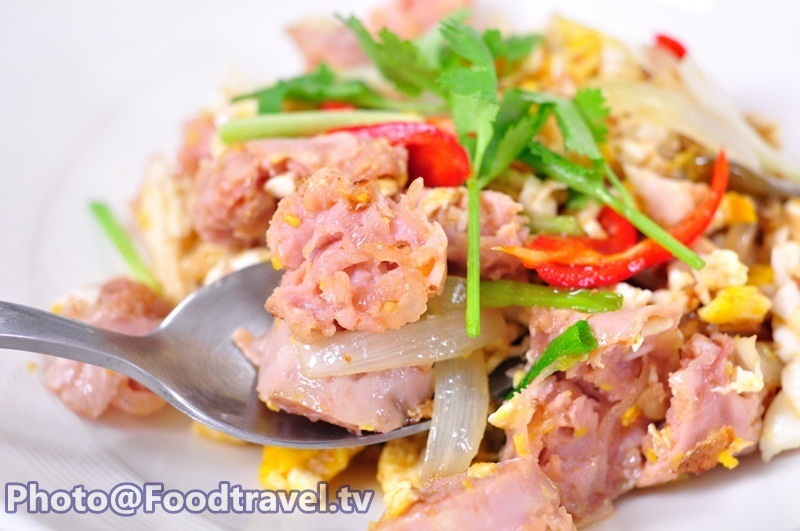 Stirred - Fried Sour Pork with Egg (Nam Pad Khai) - Stirred-Fried Sour Pork with Egg is a raw-fermented foods. If you cook it right, it is non-toxic to the body. 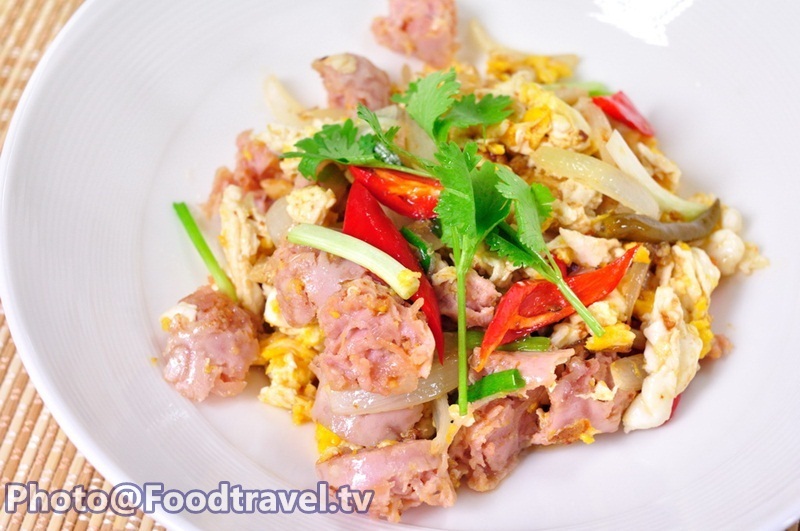 We recommend to try it with fried eggs. 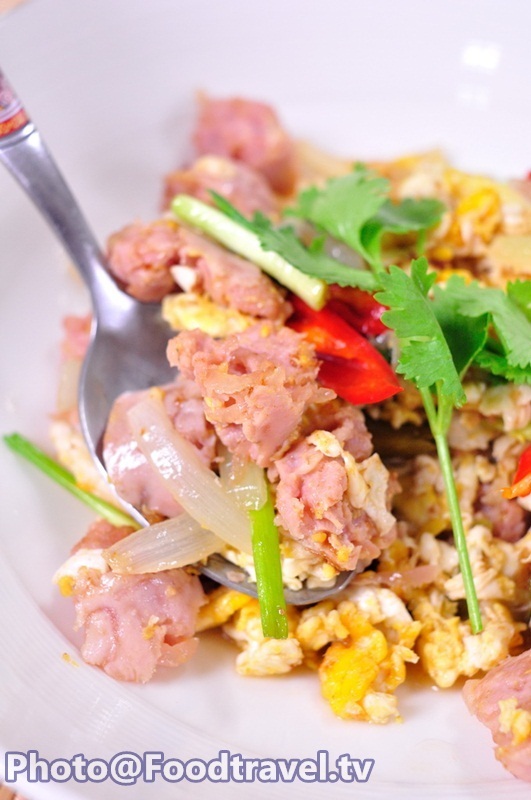 It taste good, simple and delicious. 1. Warm a pan over high heat. Add oil, garlic, chili and fry until smell good. 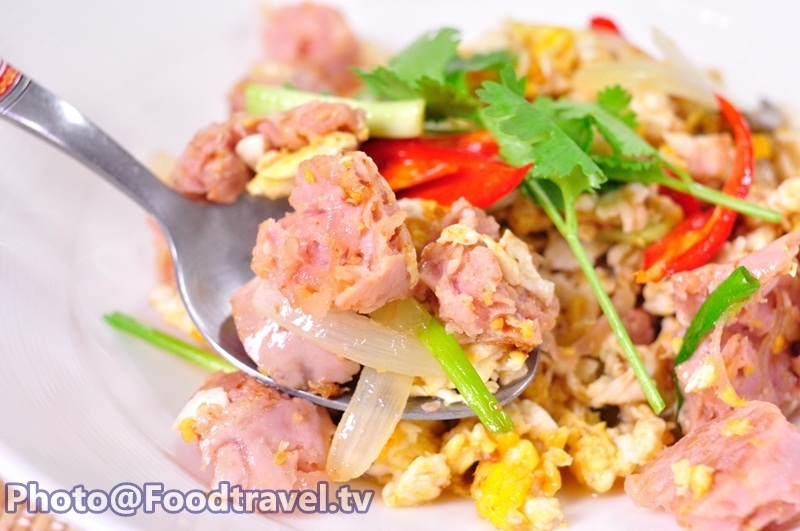 Follow with sour pork and onion. 2. 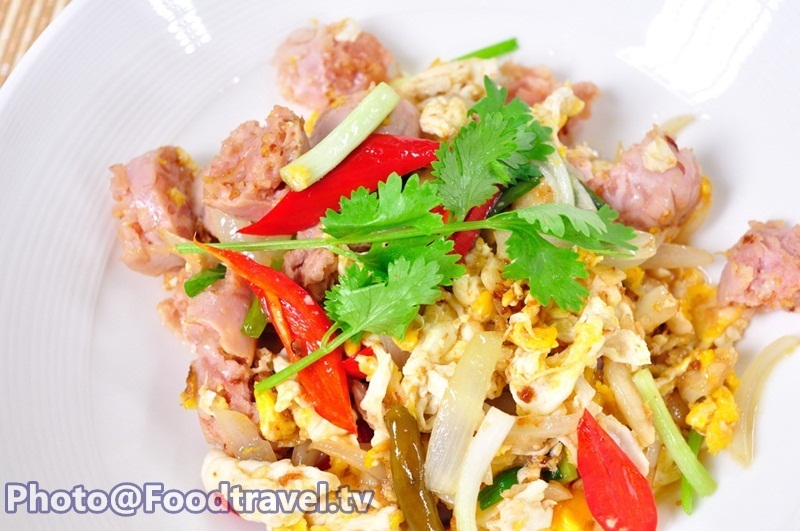 Then put egg down into the pan (don’t stir this time). Wait about 10 second. Then fry to combine. Season with fish sauce, soy sauce (and oyster sauce). Taste, turn off stove. Add spring onion and coriander.